The series that I am introducing on this website are pieces that were created for Burning Man, an arts festival in the desert ninety miles out of Reno, NV. These are figurative and whimsical reflecting the yearly themes of the gatherings. They are part of an art project teaching jewelry making on the desert. I work extensively with jewelers' wax that is then cast into silver, bronze and gold. The series that I am introducing on this website are pieces that were created for Burning Man, an arts festival in the desert ninety miles out of Reno, NV. These are figurative and whimsical reflecting the yearly themes of the gatherings. They are part of an art project teaching jewelry making on the desert. My earliest recollection of making something with my hands was around the age of nine. I, of course, made something quite appropriate to a boy of that age, a carved wood dagger and a carved wood derringer (ah, yes Dr. Freud). I got more serious around age thirteen and since then have followed my own eccentric path using ancient materials, techniques, and designs. My favorite artists are unknown and date to the beginning of sculpture and metalwork. The materials I love working with are ancient ivory dating from three to fifteen thousand years old, amber, gold, silver, and stone. The way I combine them is, in my research, quite unique. I carve ivory and amber into intricate forms. The ivory is then inlaid or overlay with 24k gold used to set gemstones. The designs usually echo early ethnicity from all over the globe. My more modern work is just that, more modern. I love working with wax since I can subtract and add back, allowing great accuracy and delicacy of form. I spent five years on a series of orchids. I made over fifty models of different taxa, each anatomically correct. These, along with several one of a kind pieces can be seen at: orchid-jewelry.com. In addition, I work directly moving metal using hammers, punches, and pliers. Working with very thin 24k gold sheet, I created an interesting series of images of Scythian and Northern Chinese animal figures that can be seen at: sumnersilverman.com. All my work is the work of exploration and love. Enjoy. Hello! My name is Pan, and I am excited to be part of Burning Man again this year. Karen Christians (Suki) and I (Sumner, playa name Pan) have conducted a Pendant Project workshop for BRC Citizens since 2006. It has been our way of gifting and honoring the incredible art at Burning Man by making our own art, small, accessible and wearable. 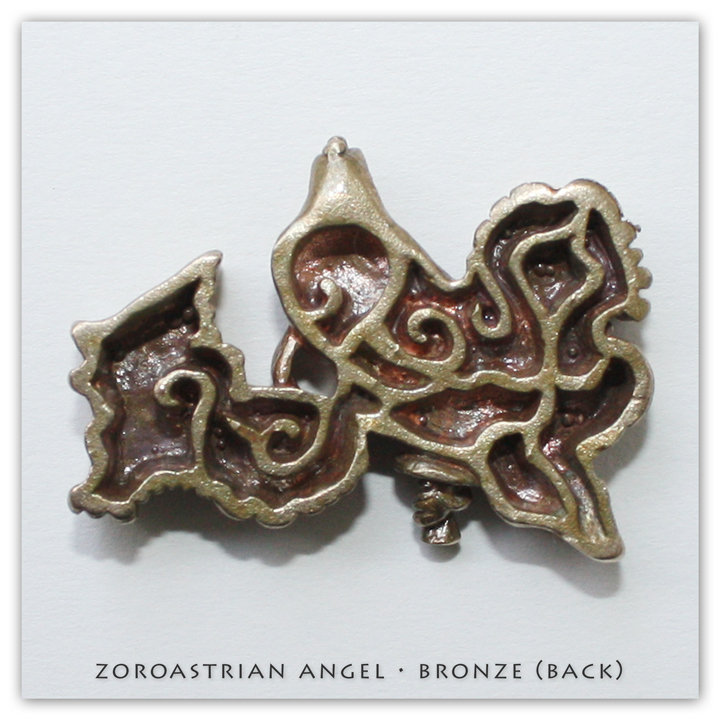 Beginning with the lost wax method, I hand carve pendants in green wax, and cast in bronze. Workshop participants embellish the pendants employing two-part resin and a variety of colors from dry paint pigments, makeup, sand, playa, ash and even fretted glass from the man burn. Adapting the process from enamel champlevé, a resin piece cures in about an hour. Once hard, the filled backing is water sanded, revealing the outline of the man in all his colorful glory, in fire! Suki does the organizing, inspiring and provides all the equipment, consumables and color. Together, we have taught hundreds of BRC Citizens and offer this unique workshop to campmates. 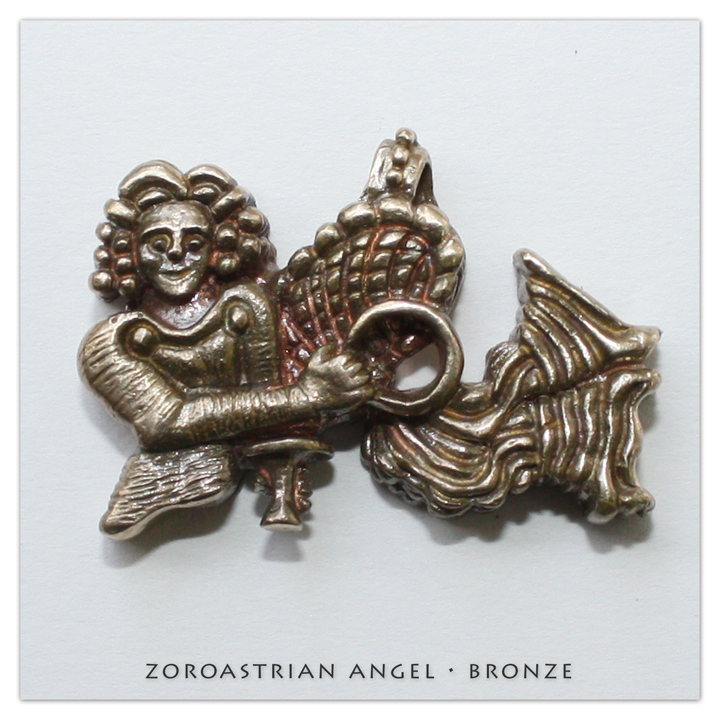 This year we honor Radical Ritual with Zoroastrian Angel, The Zoroastrian religion is the world's first monotheistic religion. They keep a sacred fire going at all times, calling it the light of God, perfect for Burning Man. Photo below. For our camp, I will be honored to teach on an as needed basis. Our classes are very popular and were the catalyst for the book, Jewelry of Burning Man. More information on the book is below. I will post a sign for non-camp class sign ups, indicating one hour sessions (10 people each) on Wednesday afternoon. Can't wait to meet all my new friends. Provides a fascinating exploration into the world of this annual gathering through the stunning photographs by George Post and the compelling stories of the author Karen Christians; the editor, curator, and historian Christine Kristen; and the many other outstanding artists profiled in the book. Told in the first person, each heartfelt story reveals the maker's inspirations and deep connection to Burning Man and its community. The book captures the culture and ethos of Burning Man through the rich variety of artistic expressions and the sharing of the practice of "gifting". The jewelry brought to and made at Burning Man is shared through gifting - it is not bought or sold - in fact there is nothing sold on the playa except ice, coffee, and cold drinks. Gifting is the second of the ten principles of Burning Man and an extraordinary practice given the consumerism of the US culture in general. As Burners themselves, the creators of this fascinating book tell the stories from the inside. 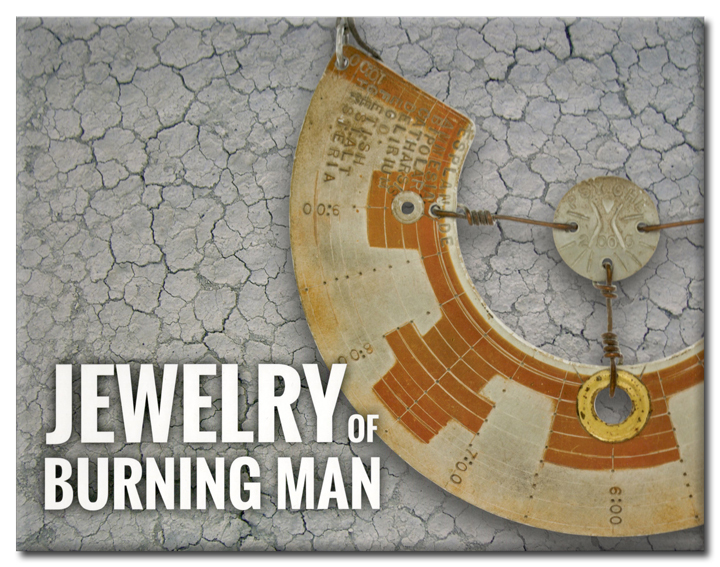 This gift book is a wonderful read and a visual pleasure for anyone interested in the culture of Burning Man, in the ways jewelry reflects that culture, and in jewelry fabrication and design.